Twin Spin is a great interactive hard ride rental. Four people climb aboard, buckle the seat belts, pump the handles and around they go! The faster they pump, the faster they go! When they stop pumping, it “free wheels.” Operator controls the braking system. 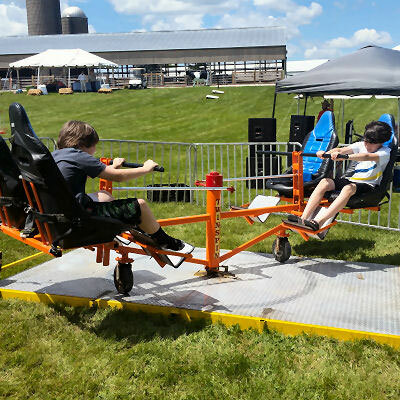 This is a natural carnival midway game rental and can be used indoors or out for your next special event.